There are many environmental and ethical reasons to avoid consuming palm oil. The production of palm oil is causing mass deforestation in that “up to 300 football fields of forest are cleared every HOUR to make room for palm plantations.” As a result of this forest clearing, orangutan populations are decreasing drastically due to the habitat loss. The Sumatran tiger and rhino populations are also decreasing. There are products made with sustainably sourced palm oil, but it is also possible to avoid it altogether to be sure. We put together a list of 15 vegan, palm-free snacks available on Amazon to help you get started! 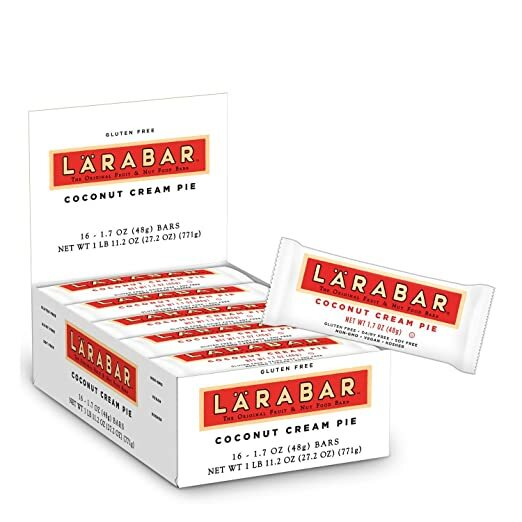 These bars by Larabar are gluten-free, non-GMO, vegan, soy-free, dairy-free and they’re only made with 5 ingredients: dates, unsweetened coconut, almonds, cashews, and extra virgin coconut oil! A 16 count of the Coconut Cream Pie flavor costs $15.00. 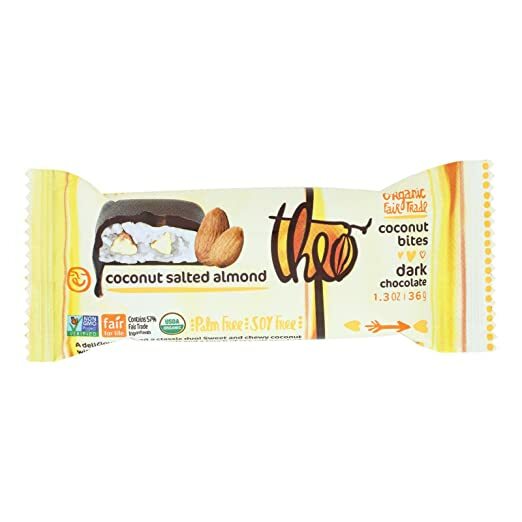 These Theo Chocolate Organic Coconut Bites are made with all fair-trade and organic ingredients as well as being palm and soy free! The price for a case of 12 is $32.08. 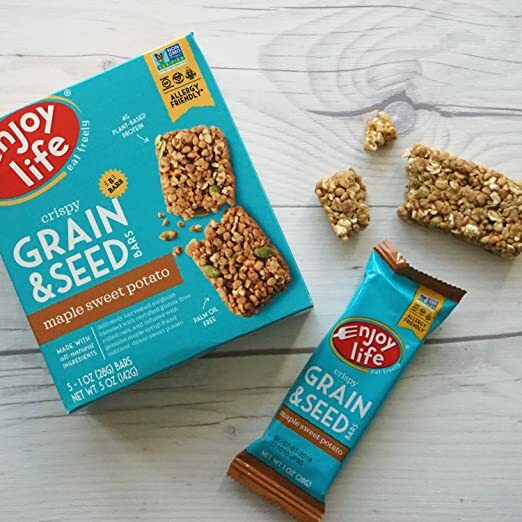 These Grain & Seed Bars are not just palm-free, but they’re also verified non-GMO, allergy-friendly, certified gluten-free, vegan, kosher, halal. A pack of 30 6-count boxes cost $23.34. 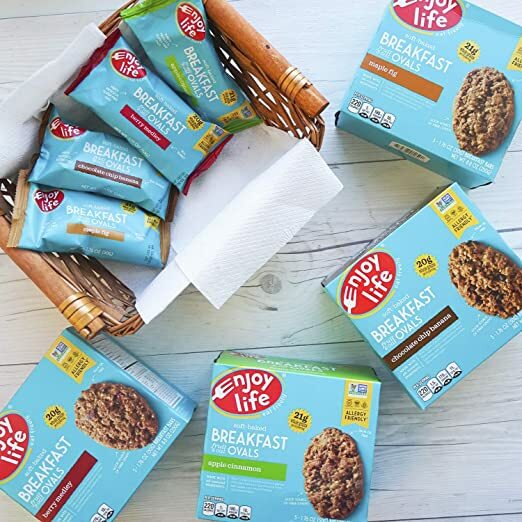 This variety pack of Enjoy Life Breakfast Cookies includes the flavors: Chocolate Chip Banana, Berry Medley, Apple Cinnamon and Maple Fig. This 4-count variety pack costs $24.99. 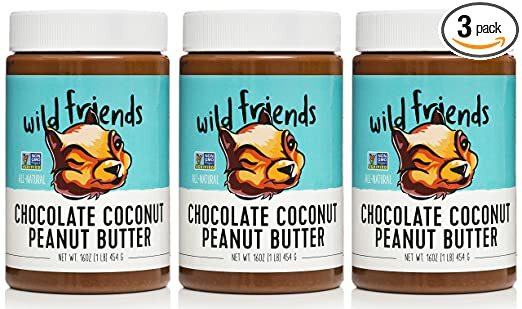 Wild Friends Foods Chocolate Coconut Peanut Butter is non-GMO certified, kosher certified, gluten-free, as well as vegan and palm-free! A set of 3 costs $21.99. 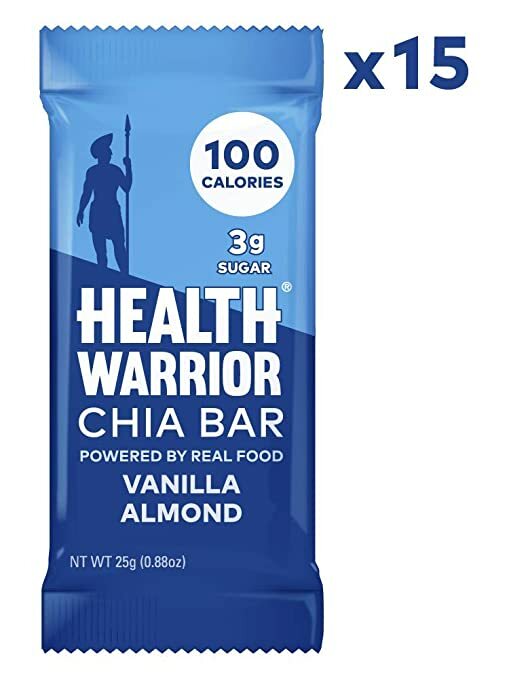 The vanilla almond Health Warriors Chia Bar contains only 100 calories and 3g of sugar! It’s a very healthy snack. The price for 15 bars is $15.20. 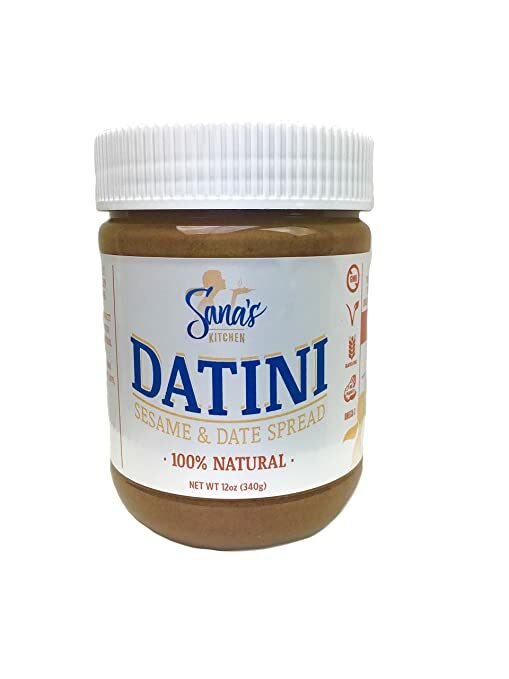 Sana’s Kitchen Datini is made with only tahini, dates, and pink Himalayan salt. The price for a 12oz jar $8.99. 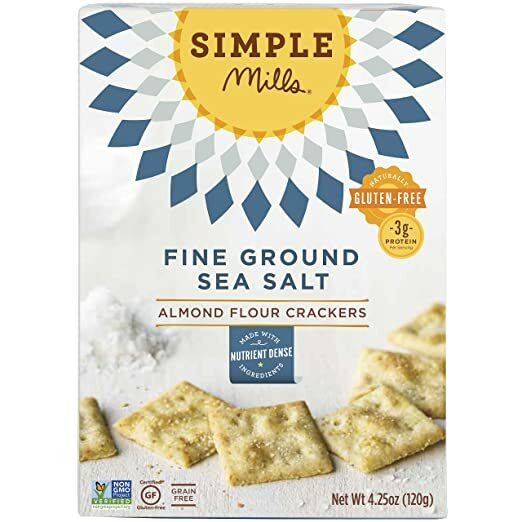 These Simple Mills Almond Flour Crackers are made with very simple, wholesome ingredients: nut and seed flour (almonds, sunflower seeds, and flax seeds), tapioca, cassava, organic sunflower oil, sea salt, organic onion, organic garlic, and rosemary extract. That’s it! The price for 6 boxes of crackers is $28.68. 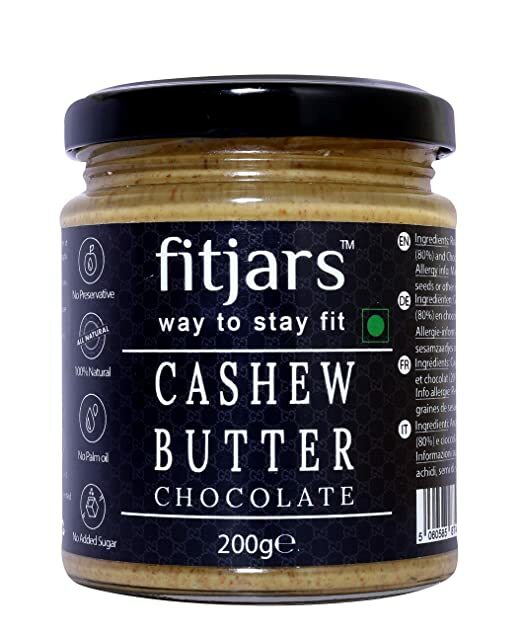 FITJARS Chocolate Cashew Butter is made with just cashews and chocolate chips… nothing else! Aside from being palm-free, it’s also dairy-free, peanut-free, salt-free, gluten-free and contains no added sugar or preservatives. The price for a 7.5oz jar is $11.92. 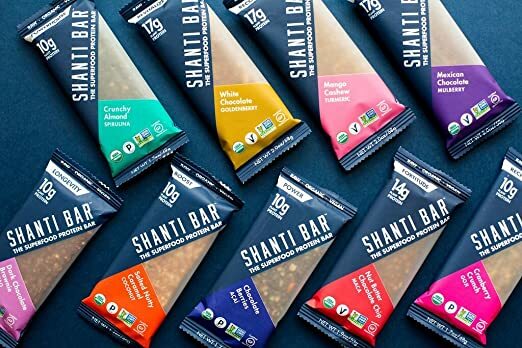 The bars in this variety pack of SHANTI BAR Superfood Protein Bar contain between 10 and 17g of plant-based protein and are made from superfoods like turmeric, maca, mulberry, and cacao. The price for the 9-count variety pack is $25.99. 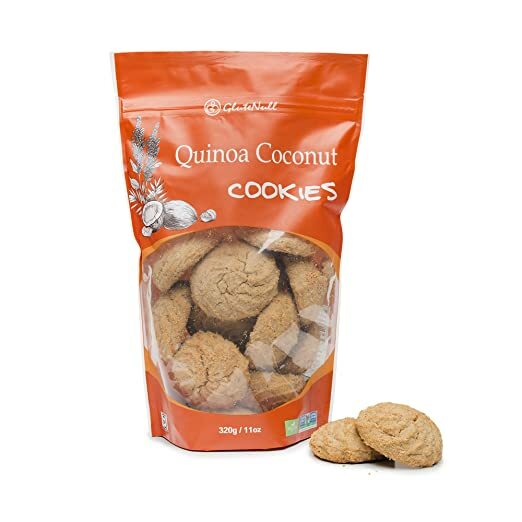 These GluteNull Quinoa Coconut Cookies are made with walnuts, vanilla, organic quinoa and brown rice flour. They cost $9.99. 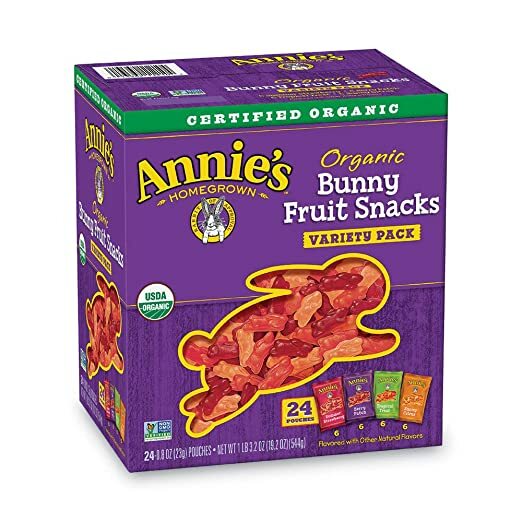 These Annie’s Organic Bunny Fruit Snacks are not just vegan and palm-free, but they are organic, gluten-free, and contain no artificial flavors, synthetic colors, preservatives, or high-fructose corn syrup. The 24-pouch variety pack costs $14.92. 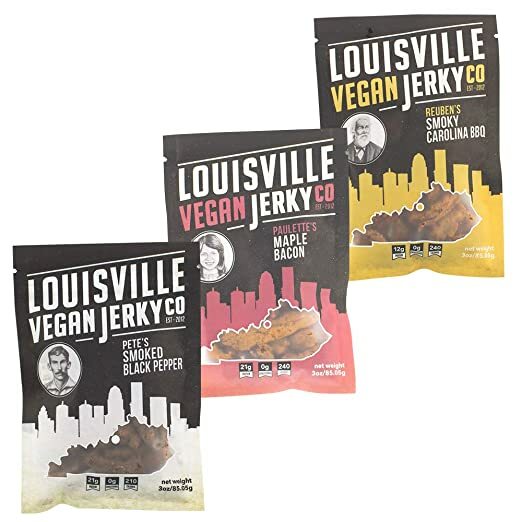 Louisville Vegan Jerky is gluten-free, cholesterol-free, and trans fat-free. This 3-flavor variety sampler pack costs $22.23. 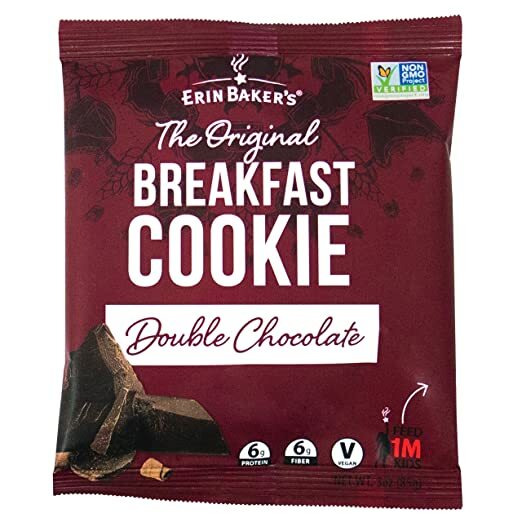 Erin Baker’s Breakfast Cookies are whole grain, fruit sweetened, and non-GMO project verified. A pack of 12 costs $16.80. 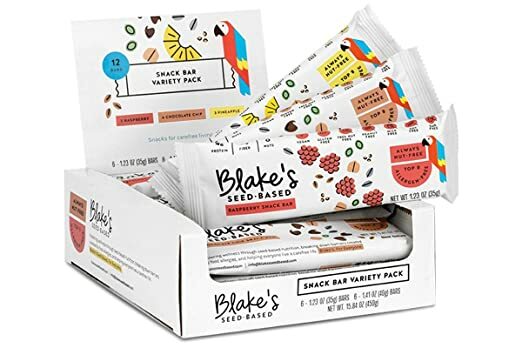 Blake’s Seed Based Snack Bars are free of the top 8 allergens and are made with real raspberry, pineapple, chocolate chips, sunflower seeds, pumpkin seeds, and flax seeds. This variety pack of 12 bars costs $26.99. For more information on palm oil, check out the Top 10 Facts You Need to Know About Palm Oil, 5 Reasons to Avoid Palm Oil, Why You Should Avoid Palm Oil and How to do it, and Palm Oil is Causing Mass Deforestation, Killing Animals, and Making Us Sick. If you’d like to make your own palm-free snacks and meals, download our Food Monster App where we have over 15,000 vegan and allergy-friendly recipes!